The arcade classic is coming to Switch. The team based arcade game was announced during the Nintendo E3 direct and is set to release early next year. 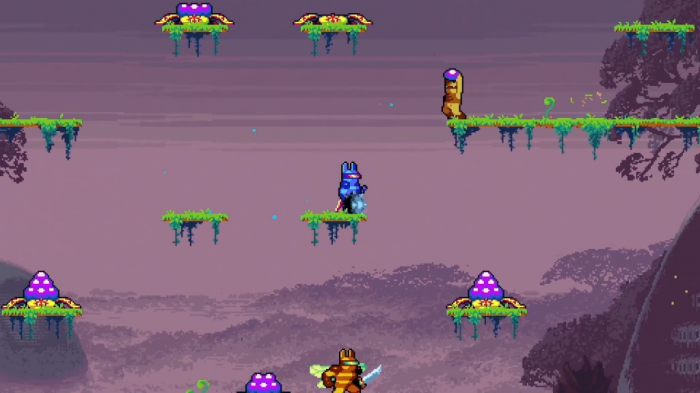 Killer Queen Black has been a classic on the arcade scene for some years now and the highly competitive nature of the game will be interesting to see on the Switch. For those unfamiliar with the game, we have a bunch of details on how the game will play so you can start planning things out with your team in preparation for the game launch. The game splits 8 players up into 2 teams of 4, blue team and gold team. Each team has a player take on the role of Queen whilst the other players will take on the role of drones. The drones start off the game unarmed and unable to fight, the Queen however is armed with a lethal stinger and heightened agility, however the Queen has limited lives. Drones are better suited to the less violent work though can gain helpful tools and abilities by entering gates spread around the map. There are 3 ways to win, economic victory, military victory and snail victory. Economic victory requires the drones to grab berries from around the battlefield and bring them back to base to score points. Military victory is more straightforward, kill the enemy Queen 3 times, you’ll need to arm the drones up to stand the best chance here. Finally snail victories require your team to slowly ride a snail across the bottom of the screen into the goal post, though you’ll need the help of your team to defend the snail rider. With 3 wildly different victory types all being juggled at once the game relies heavily on team work if you want win. Killer Queen Black features 4 game modes for players to enjoy, quick matches, ranked, custom games and Arena. The first three are relatively self explanatory, Arena however tasks players with achieving win streaks to earn rewards. The developers plan to support the game via new maps so expect to be playing this game for some time to come. So that’s the basics of Killer Queen Black, what do you think? Have you played the arcade version? Will you be fighting for the Queen when the game is out? Let us know in the comments below. 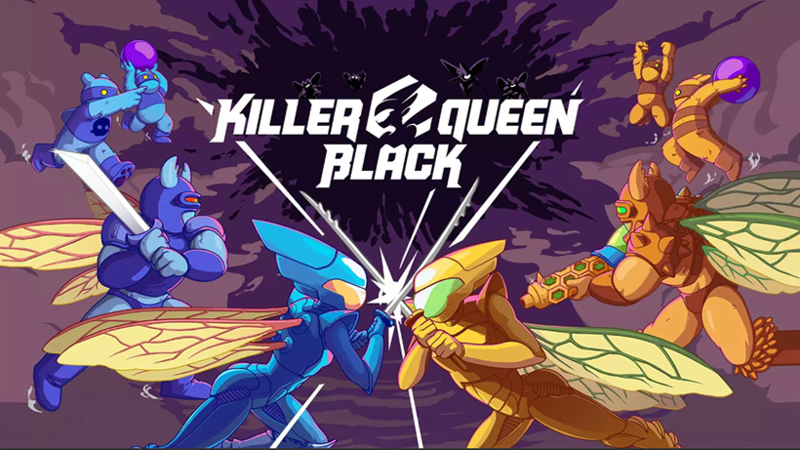 Killer Queen Black is set to release early 2019, stay tuned to the Switch Player for more information as we get it.